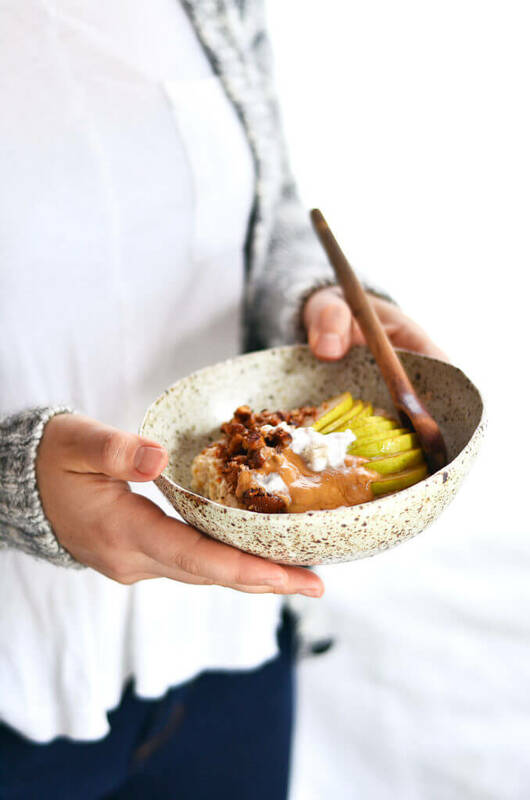 This 3 minute paleo compliant porridge is the perfect comforting food for rainy morning breakfasts. Snuggle up with warm toasty coconut and almond essence and the deep flavors of cinnamon and pear. 100% good for you and easy to make 😉 Gluten free, grain free, and vegan. The only rush hour here in Plain, Washington is at 3:30 every day during ski practice. Eighty kids from our small mountain town of 600 people pour into “down town”… a.k.a. the only commercial building (gas station and hardware) for ski practice. 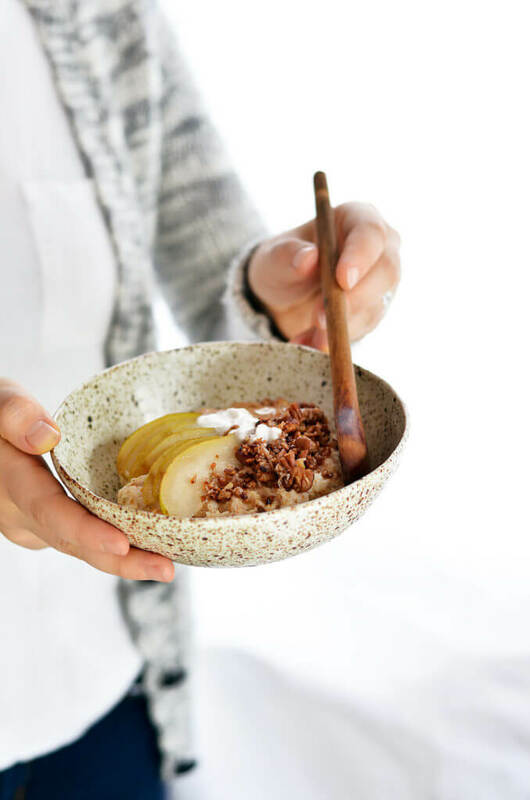 All that to say, this lovely porridge bowl reminds me of slow mountain living. Where snow days are an excuse for powder runs. Every time without fail, if there is more than 4” of snow, business closes and we all head into the mountains to shred a little morning powder. This lovely warm bowl of paleo goodness warms your soul. And if you miss those days of malt o meal, this bowl will gladly deliver. Okay, enough of all the happenings here, let’s get to this bowl of yumminess! Who’s down? 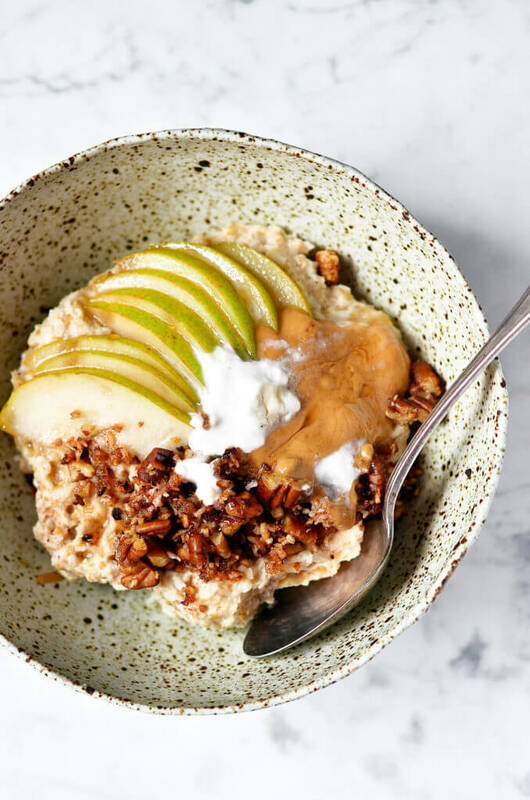 I am such a fan of hot cereal! I remember waking up to my Dad making his ritual oatmeal in the mornings. The smell of dark roast coffee brewing. The sounds coming from the stereo. Morning light. Sweaters. Ski days. Tunes from the 2000’s. Obviously I could go on about what this porridge reminds me of. I’ve been brainstorming ways to keep it healthy around here. Trying to cut back on the sugars now that the holidays are past us. 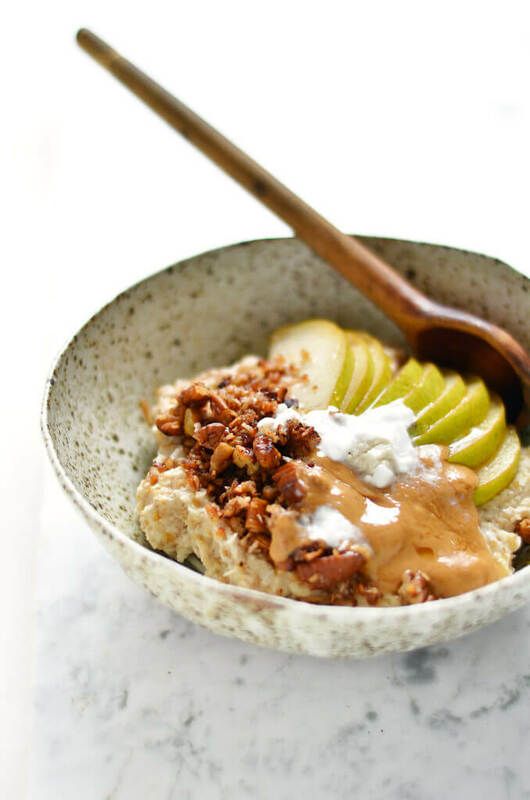 So this breakfast porridge is a great option! Because, you can make it without any sweetener or add a little drizzle of honey for some pizazz. 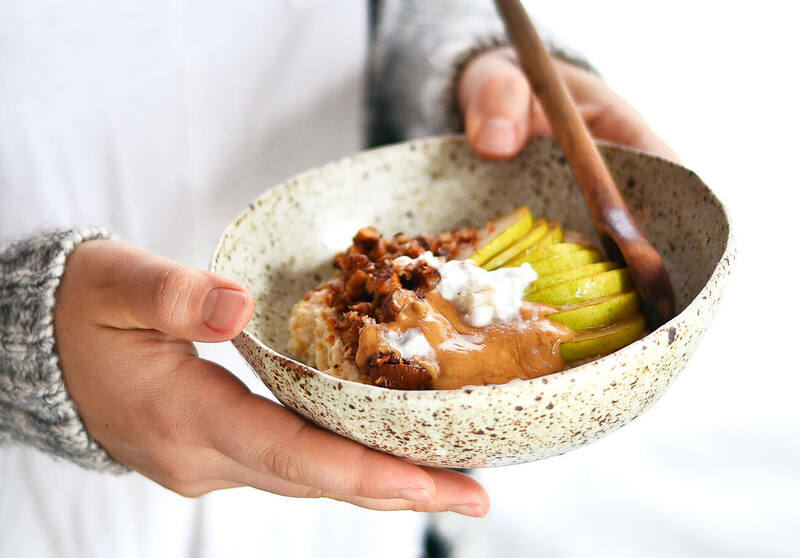 This 3 minute paleo porridge is the perfect comforting food for rainy morning breakfasts. 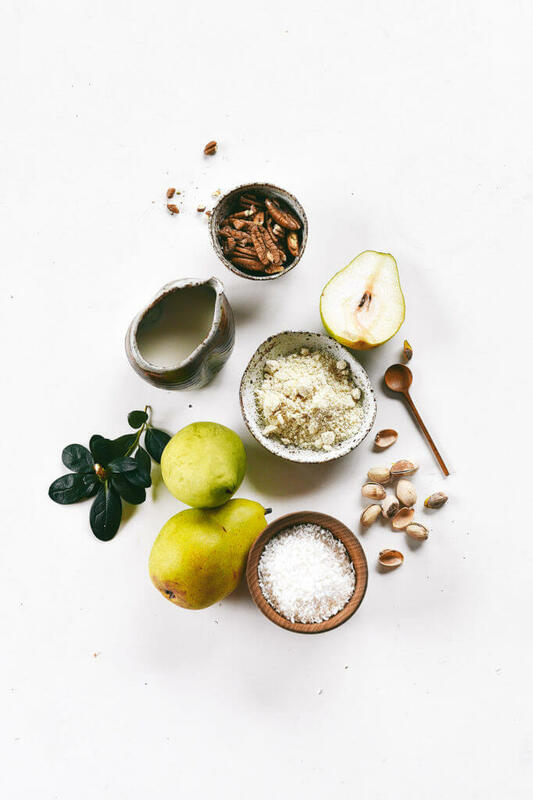 Snuggle up with warm toasty coconut and almond essence and the deep flavors of cinnamon and pear. 100% good for you and easy to make 😉 Gluten free, grain free, and vegan. 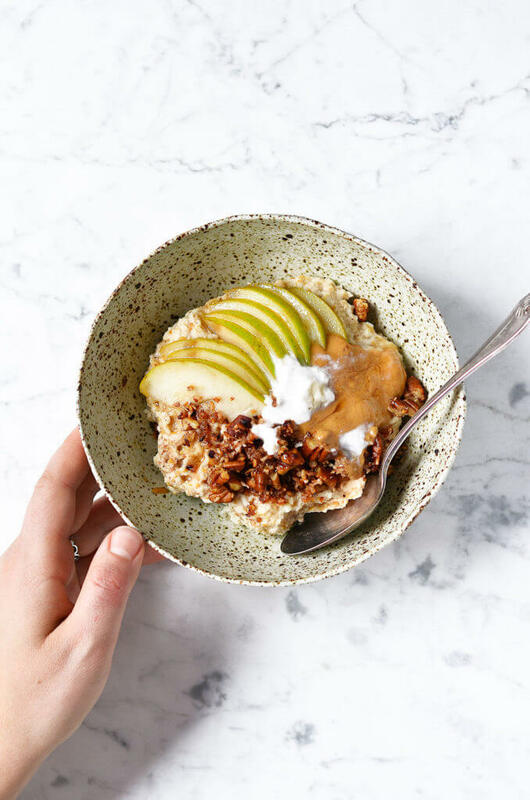 If you want to top this bowl with some crunchy paleo granola, check out my favorite brand's banana nut butter grain free granola! Heat almond milk in a saucepan over medium heat for about 1 minute until warm. Add in the rest of the ingredients and cook for 1-2 minutes until soft. 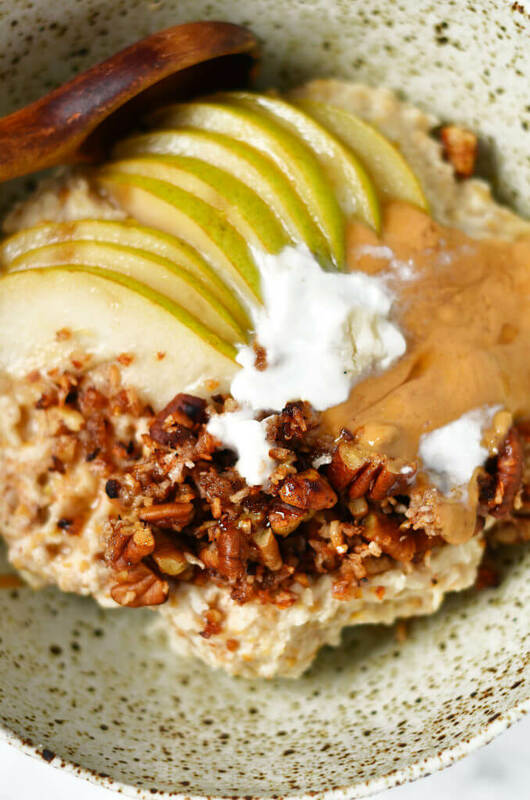 Optional toppings: sliced pears, nut butter, almond milk, paleo granola, honey or maple syrup. Looks yummy! I would have to do something to sub the coconut since I’ve just recently been diagnosed with a coconut allergy. 🙁 Maybe a banana? Another idea Amy- you could use 5 tablespoons almond meal and one more tablespoon flax in place of coconut. Can you tell me where you found that beautiful bowl? I love that! Has anyone tried this with coconut flour instead of almond? Just wondering if it would be worth it or if it would ruin it, since I already have some on hand! I’m wondering if I can substitute an apple? Great recipe! I didn’t have almond milk so I subbed coconut milk. And I didn’t have flaxseed meal so I just omitted that. I used stevia instead of maple syrup and – just because it’s fall- I used pumpkin pie spice instead of cinnamon — turned out delicious! Is there anyway to make this ahead or freeze for the week? Thank you! Hi Meghan! You could mix up the dry ingredients up ahead of time- and sub fresh milk for powdered coconut milk, then heat up with hot water when you want to eat. Hope that helps! Hi. Could you suggest a substitute for the flaxmeal (I’m not paleo specifically – intolerant of corn, oats, banana, cane sugar and whey)? Are you going to post the nutritionals? I guess I could calculate my own version though. Thanks! Are the nutritional facts correct? 89g fat and 986 calories?? I made this recipe this morning and my wife and I loved it. Next time I’m going to make a blueberry compote to put on it (sugar free, of course). Awesome recipe, thanks for posting! Just made this, it’s so delicious. Has anyone tried making this in the microwave? Cooking times? It would make less dishes to wash if I could make it in my breakfast bowl. Does the nutrition facts include the pear? What is the total fiber in the dish? I’m trying to figure out net carbs. Hi Shannon, the nutritional info doesn’t include the pear. I made this recipe this morning and I’m obsessed! I love the grits-like texture and was perfect for Whole 30 if you don’t add sweetener. My fiance and I both agreed it kept us full; my new favorite breakfast! Hi Hanna, I love flax so much! Plus it creates great texture and binds things together. It’s starting to get slightly colder here in Oz. This breakfast is perfect and Yum. Didn’t have flax seed, but used Chia Seeds. Thank you for the recipe. I’m allergic to almonds. Any good substitutes? 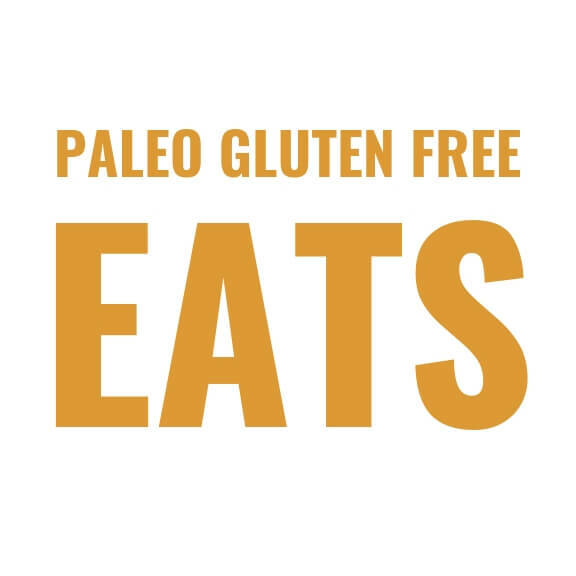 I have been looking for a paleo alternative to oatmeal for so long, and this clings so good with my taste! Will definitely try it out tomorrow! I used monk fruit powder to sweeten, and boy is it yummy! Just what I needed to soothe my yucky, crampy body this morning. Thank you! Is the nutritional table based on the added toppings? Or is the 488 calories per serve (and 72% of true recommended daily fat intake) BEFORE any toppings are added? Thanks! Hi Ellen, that’s before toppings. This is the perfect breakfast for me. It really is super-quick and so tasty. I love the freshness the pears bring to the dish. No need for me to try other toppings or adapting the dish, it’s perfect as it is. Thank you for saving me from the sugary cereals I was struggling to replace. This was delicious. I added a little extra almond milk and sliced pears to the pan to soften them. I omitted the vanilla and syrup to keep it Whole30 compliant, then put blueberries, grain free granola and almond butter on top. Yum! What I was looking for! I reduced the coconut shreds to 3 Tbsp rather than 6, but It was still a bit too much for me. The coconut flavor is fine for me, but I’m not crazy about the texture of the coconut. I will try to reduce the quantity again but what do you think about substituting coconut flour for the coconut shreds? Hi Donna, that could work! Loving the sound of this!! Do you think it’d work in the microwave as well? Hi Becky, that should totally work!